With four wickets remaining to win the fourth Test on the final day, India’s spinners wrapped up England’s second innings in the first hour to win by an innings and 36 runs in Mumbai. Ravichandran Ashwin took his second five-wicket haul of the match as India sealed a 3-0 series win. Brief Scores: India 631 (Virat Kohli 235, Jayant Yadav 104, Adil Rashi 4/192) beat England 400 & 195 (Joe Root 77, Jonny Bairstow 51, Ashwin 55/6) by an innings and 36 runs. After the England top-order faltered on the fourth day and the overnight score reading 182/6, the visitors' resistance was brief. With the wicket completely aiding the spinners now, Ashwin made sure that Jonny Bairstow's little fightback did not stretch too long, dismissing him in the third over of the day. The off-spinner trapped Bairstow in front with a squared-up delivery. Despite Bairstow opting for a review, it was clear that the delivery was hitting the off-stump and he had to walk back. 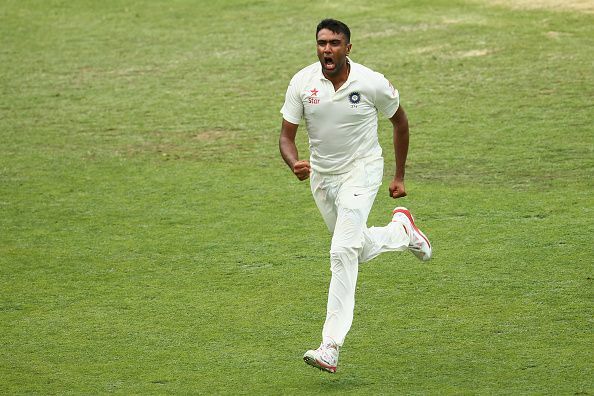 Four runs later, Ashwin conjured up a perfect off-spinner's delivery to bowl Chris Woakes. The ball turned ferociously from outside the off-stump and went thorugh Woakes' defence to leave India just two wickets away from a series victory. Adil Rashid went for a lofted drive towards the deep-midwicket but it was straight down the throat of KL Rahul as Ashwin completed his second fifer of the match. With the score reading 195/9 and couple of testing deliveries to James Anderson, Ashwin bowled a carrom ball forcing the left-hander into a shot and Umesh Yadav took an easy catch on the leg-side to finish things off. The final Test will be played in Chennai from Dec 16.